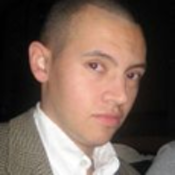 Daniel Andres Jacome is a NYC-based research associate on the sell-side. Daniel, who holds a BA from Tufts University, an MA from New York University, and an MBA from The Kelley School of Business at Indiana University, was most recently an associate covering health care services at FTN Equity Capital Markets in Boston. Before that, he was founder of Sestina Investment Research/Ceviche Fund Partners LP and also held full-time or internship positions at Maxim Group LLC, Oppenheimer & Co, and Wellington Management Company LLP. He is a CFA Level 2, CAIA Level 2, and CMT Level 1 candidate and his opinions have appeared on CNBC, TheStreet.com, and Yahoo! Finance. Johnson & Johnson Steals Mentor Corp.: Who's Next? Why is the Market Rewarding Crocs?